Most people, as some time in their lives,need help with difficult experiences, thoughts and feelings. Taking the first step towards change can seem daunting. As a counsellor/therapist I can offer you a relationship and space in which you can feel safe to talk, in a confidential environment,free from judgment. This new relationship of counselling/therapy can provide a secure base from which to explore feelings, thoughts and ways of being, and has the potential to generate new patterns of regulating the ways we feel, think or behave. 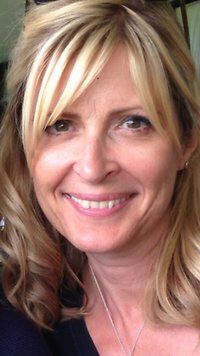 My name is Jane, I am a registered clinical psychotherapist accredited by the UKCP and a BACP registered counsellor/therapist. I have considerable experience of working with a broad range of clients and difficulties and have been running my private counselling/therapy practice for 6 years. My private practice is based in Melbourne, which is within easy reach of Derby, Ashby de la Zouch, Burton on Trent, Castle Donington and Kegworth. I also have experience of counselling for a large and much respected charitable counselling service as well as working as a school counsellor with teenagers and young people. I also offer counselling to students and those undertaking training in psychotherapy. My counselling/therapy practice is based from my home in Melbourne, a small town between Ashby de la Zouch and Derby and within easy reach of Burton on Trent. The location is very private with off road parking. I offer counselling/therapy to adults, young people and couples on an open ended basis or for an agreed time period with the aim of enabling you to enhance your life and live it more fully. Sometimes it is hard to address difficulties and challenges without professional help. The therapeutic relationship is unique in that it offers the availability of another human being who has no pre-conceived ideas about you or personal agenda other than to be in relationship with you and be helpful in exploring these difficulties and guiding you in the direction that is right for you.